Many may think it is just a staffing company. They may not see the need to dress up for aninterview with a recruiter. It may be perceived as more casual since it is not the actual company doing the hiring. This is a very dangerous assumption to make. Always dress up as if this is a real interview. It is during the recruiter interview that the recruiter is able to see the potential candidate’s idea of business wear and whether it needs to be critiqued. If this isn’t taken seriously, the recruiter won’t take the candidate seriously. It is always a good idea to have a resume that has been prepped and ready to go with explanations for any gaps in between jobs. Be totally honest because the recruiter does not want to have any surprises to show up. Remember, their business is about sending applicants that are most suitable to the job. Anything that looks deceiving to the recruiter may make them distrustful and unwilling to collaborate. Just let them know in advance so they can figure out a way to spin it in a positive light or just find a more suitable job that won’t require certain restrictions. Above all, treat interviews with recruiters as real interviews. Give well thought out answers that give reasonable explanations without being lengthy. This is a great way to begin brushing up on rusty interviewing skills as well as give the recruitment professional an idea on what to expect when they send you into the actual interview. It may be decided that some coaching may be needed in order to shine above everyone else. Recruiters are competing against each other to receive commissions. They are invested too. Recruiters are a great way to take the time to brush up on the interview skills needed to get hired by a potential employer. They are there to give pointers on interview topics and how to make your resume stand out from the stack. If you approach the recruiter in a professional manner and perhaps even help them understand their client’s job order better, the recruiter will be all the more willing to be of assistance to you. Remember, the recruiter’s reputation with their clients is riding on their candidate choices – although they work for their client, it is in the recruiter’s best interest to help you as much as possible. 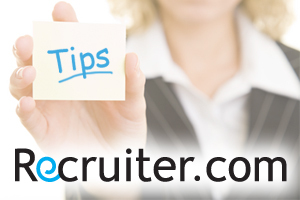 Use the time interviewing with a recruiter for mutual benefit.